A debtor can obtain a discharge of debt by filing for bankruptcy. A discharge of debt releases the individual’s personal liability for many types of debts. A discharge prevents creditors from making any collections efforts upon the debtor including phone calls, letters, and threats. If you live in the St. Louis Area, being represented by one of our St. Louis or St. Charles Bankruptcy Attorneys is the first step to a successful bankruptcy filing. 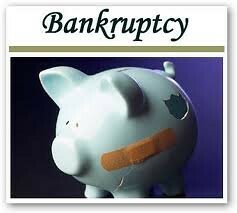 We also have a bankruptcy attorney in the Metro East of St. Louis available for help with filing for bankruptcy. Many types of unsecured debt can be discharged, including credit card debt, pay day loans, and medical bills. However, there are other types of debt that cannot be discharged through bankruptcy. Some examples of debts that cannot be discharged are certain tax liabilities, student loans, financial responsibility for any injury caused while driving while intoxicated, child support, alimony, and some debts to governmental agencies. Further, if there are existing liens on property they will not be discharged. The individual is still responsible for anything not discharged by the bankruptcy proceedings. It is important to note that in Chapter 7 bankruptcy proceedings the court may revoke a discharge under limited circumstances. The grounds for a revocation closely resemble the grounds of the court to dismiss the case without discharge, including fraud or concealment. In a Chapter 13 filing the court may revoke either confirmation or the discharge of the plan for fraud. After your debt is discharged it is not legally enforceable and creditors are not legally allowed to attempt to collect a discharged debt. Should a creditor attempt to collect discharged debt a motion can be filed with the court to reopen the case to address the creditor. The court may punish creditors for violating a discharge order. How Excessive Medical Bills May Affect Bankruptcy Proceedings Should I file my reaffirmation agreement?